You're no doubt going to take a glance at this article and wonder what on earth it has to do with you. While there may be one or two in the ProFaNE community lucky enough to live in such tropical climes, for most of us, the mere mention of Hawaii will simply lead to thoughts - or more likely, dreams - about where we might have our next holiday, not about our profession. 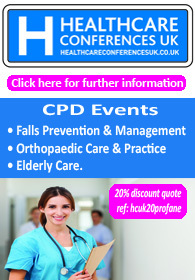 But what if I tell you that they are recruiting for a falls prevention co-ordinator in Honolulu? This surely warrants a quick glance? Even if just to compare job descriptions with your own region or country (or in my case, to start mentally drafting an up-to-date CV whilst simultaneously dreaming about lunch breaks on Waikiki beach). But read on and you might see just how relevant this is. 'Stay seated: Hawaii will pay $81K for fall-prevention coordinator’. 'Hawaii seems compelled to pay someone — rather handsomely — to offer...ubiquitous and common-sense advice'. Falls prevention, apparently, amounts to no more than 'staying in your seat' and 'grabbing hold of a rail'. Despite reporting on the scale of the problem of falls in Hawaii, where the population of senior citizens has grown 116 percent over the past two decades, and the cost of hospitalisation, hip fracture treatment and rehabilitation amounts to some $180 million per year, the emphasis of the story is on the cost of the salary - or more to the point, the fact that someone is being paid at all - to give this 'common-sense advice'. 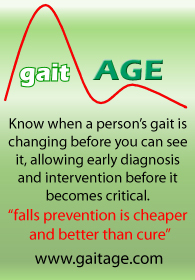 And this is indeed the problem we face when it comes to falls prevention. Changing the mindset of the older people we work with and getting them to understand that falls can be prevented is no easy feat. As we can see from this article, these views aren’t age-exclusive. Health professionals, carers, family members, politicians and journalists have all been known to share the belief that falling ‘just happens’ and that there’s little that can be done to prevent it. Unless we are ‘in the know’ - either because of our jobs, or because we have seen a relative go through the experience - we don’t generally question this. And why would we? We all fall at times, so when does it become something to worry about? And why? After six years of running a national falls awareness campaign, I’ve been involved in some great practice in engaging older people in falls prevention interventions, which have all very successfully changed attitudes towards falling. But as I read the recruitment article, I couldn’t help but think of all those times where I have tried and failed to explain my work to friends, family members and peers. I still don’t have a concise and compelling answer to convince them of the importance of understanding how falls can be prevented, or of the relevance it has to their own lives - not least because most of us are of the school of thought that ‘it won’t happen to me’, especially when it comes to getting old. But until we change these attitudes and perceptions, they will continue to have a negative influence on all of our work, whether it’s through a lack of support for falls prevention services and professionals to run them, or preventing the falls that will inevitably happen to all those professionals, politicians, family members and journalists when they ‘come of age’. To read the Hawaii Reporter article click here, or click here to read the Bill, which was passed last week to establish the role of fall-prevention co-ordinator in Hawaii.